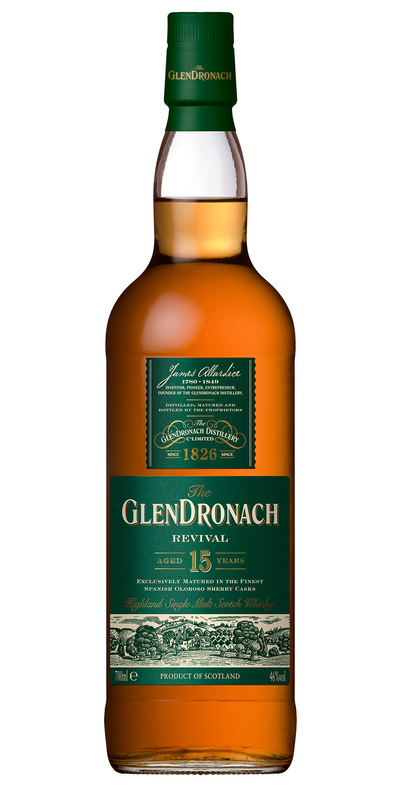 Glendronach’s got a great name in whisky these days for being a superb sherried dram. Having sampled a couple at various tasting events, I can definitely see what people are making a fuss of. The distillery was rebooted (along with Glenglaussaugh) by Benriach in 2008. As a result, you’ll tend to see all three whiskies together at festivals. Tonight I’m tasting the Revival, a flagship dram to mark the reboot. Aged a full fifteen years in Oloroso sherry, this is a dram for people who like a sherry bomb. Nose: Sticky figs and dates, tea leaves, dry Summer hay, dusty wood, rich barley cereal, cumin, and a touch of mineral saltiness. Palate: Luscious mouth-coating sherry with barbecued banana, orange boiled sweets, red grapes, molasses and sultanas. Finish: Slightly drying with toasted oak, black pepper and a tingling tobacco smokiness. Mmmm. The mild smokiness really works for this dram. It’s like someone lit a Cuban, dipped it in a glass of Oloroso, and somehow created a whisky.